From our balcony we have a clear view on a tower in Middelburg, Holland. 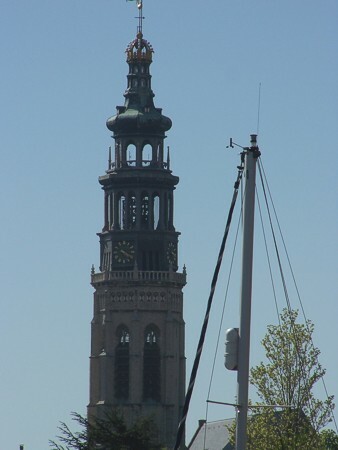 The "Lange Jan" (Long John, 90 m high) stands 640 meters away from our house. The pictures where not taken on the same day, so the weather might give different qualities. Through-the-lens photography was done with the help of Henk Adriaanse. The tower taken with a Kodak DX 7590 digital camera at 10 x optical zoom.